Lupus is an autoimmune condition that can affect virtually any organ in the body, including the skin, joints, kidneys, brain, heart, lungs, and blood. Because its symptoms vary so much and mimic those of other diseases, it can be difficult to diagnose. Robyn Latimer was diagnosed in 1998, when she was 22 years old. She went with her doctor's recommendations of steroids and immunosuppressant drugs, but her condition continued to worsen over the next decade. In 2009, she found the Paleo Diet. Life has never been the same. My first symptoms included years of fatigue (my parents attributed my afternoon naps to laziness which made my life that much more difficult). Just before Mother's Day 1998 (at the age of 22), I started to feel more lousy and my ankles began to swell and I was just achy all over. I didn't think a lot about it, as my symptoms were never taken seriously. When my mom saw how swollen my feet and legs were becoming, she insisted on going to the doctor. My GP sent me to see a nephrologist. He, in turn, did a kidney biopsy right away. It turns out I had acute nephritis and was hospitalized immediately, as kidney failure was imminent. After countless tests that had no definitive answers (my ANA was negative at this point), they decided to try prednisone. If I responded to it, they would give me a diagnosis of lupus, if not, more tests. I responded. The worst flare I had included kidney involvement, rheumatoid arthritis, Raynaud's and Sjögren's syndrome all at the same time. My kidneys were not functioning properly so I couldn't excrete fluids, which meant that my feet, ankles and legs took on the fluid. I couldn't fit my feet into any shoes and could barely walk. I was 130 lbs and gained 10 lbs in a 24 hour period. I was so stiff, and in so much pain from the arthritis, that getting out of bed was a feat in itself. I was in the hospital for 2 weeks before the disease was under control. This led to high doses of prednisone (80mg/day), plaquinil, imuran, lasix, ranididine and didrocal for almost 2 years. At first I tried a vegetarian diet and didn't see any results, and I really missed meat! Then I tried veganism. I was vegan for 7 months and managed to get off of prednisone but could not successfully get off of plaquinil. I went back to a standard american diet until I was introduced to the paleo diet. Within 2 weeks I was completely symptom free. No joint pain, no stiffness, no hematuria. Increased energy and a clear head. I had “mind fog” for so long I didn't know what it was like to think clearly! My skin became more radiant. I also used to have severe PMS symptoms including very painful cramping. I no longer have any cramping during my cycle. I still test positive for lupus, Sjögren's syndrome, antinuclear antibodies (ANA) and anti-double stranded DNA antibodies (anti dsDNA). I don't know if those will ever change; I hope that one day they will, and I'll be rid of any evidence of ever having lupus. These markers don't give me any physical problems as they are just measures of antibody presence, but it is a reminder that my body doesn't forget easily. Also, my immune system is an all or nothing kind of defense system. When I am in a flare, it works overtime, overproducing white cells and antibodies that literally destroy my body from the inside out. But when I'm in remission, as I am now, it pretty much goes on vacation. My ‘normal' white cell counts are incredibly low when I'm healthy (lupus symptom free). This means I'm at the mercy of colds and flus, especially in the winter. This year is pretty bad, because I have 3 kids under the age of 5. So, between kindergarten, playgroups and childcare at the gym, I really don't stand a chance! I do not get a flu shot because I instantly get the flu or some other nasty sinus thing. While this sounds awful, compared to taking meds and chronic pain, I'll take a month or 2 of this anytime!! Finally, I still have a teensy, tiny voice in the back of my head that wonders every night before I fall asleep if I'm going to be able to get out of bed the next day. Everyday that I get up symptom-free, that voice gets smaller. I wonder how long it will be there? I take strength & tone classes, lift weights, walk, and just started a spin class. I also take a few supplements: fish oil, fermented cod liver oil, vitamin D, magnesium, CoQ10 and astazanthin. No, I am completely medication free. 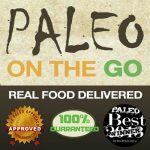 I went into remission on the full paleo diet, so never needed to follow the more restrictive autoimmune protocol. In addition to watching out for what NOT to eat, I make sure to eat specific healing foods as well. I drink bone broth (that I make) almost everyday. It is almost as necessary to my day as water is! I find I get the best benefits from beef bone broth (we get a grassfed cow for our freezer, and I make sure to get all the stuff nobody else wants, like offal, bones, and back fat for rendering tallow). Another thing I do is brew my own kombucha. I drink several glasses a day. These both support a healthy digestive system, and I'm a firm believer in gut health. Absolutely forever, yes! It's not a diet, it is definitely a lifestyle. I am 100% certain (because I've tried it) that I will become symptomatic if I start eating a standard american diet, and I want no part of being sick and tired ever, EVER again! It is a difficult adjustment at first. I mean, never in my life was I ever told that grains are actually bad for you (whole grains are part of a healthy diet right?) The thought of giving up bread was obscene! I went through about a week and a half of literally feeling like death. The community has termed it “carb flu”. Flu like symptoms occur as your body starts to detox and insulin levels start to level off – sugar withdrawal. Two weeks in I was pain-free, so it was all so worth it in my book! 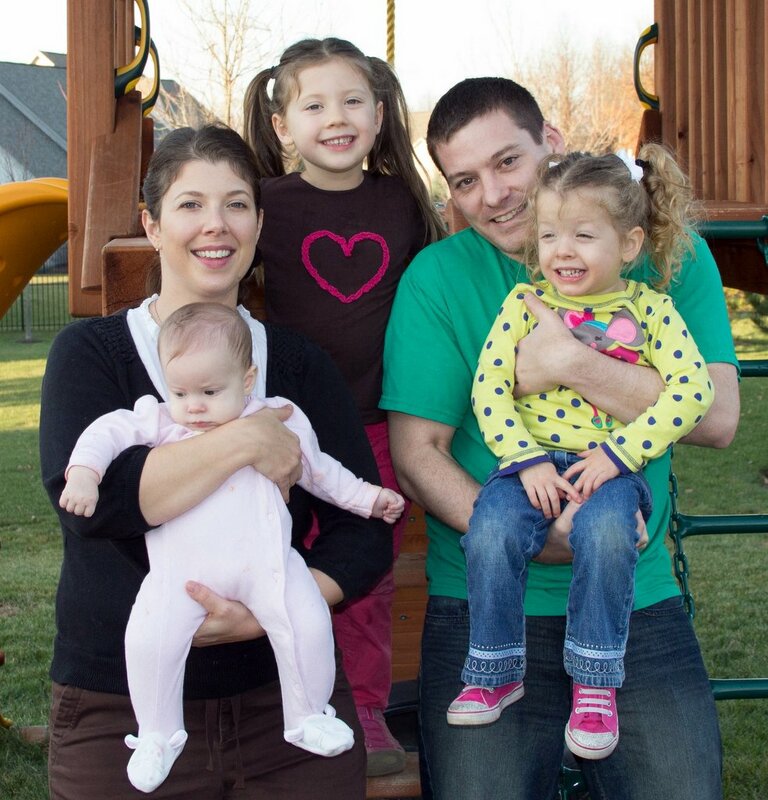 My family: my husband Chris and our 3 children: Kaylen, Ava & Micah. We all eat paleo now (with the exception of what my husband eats while at work). 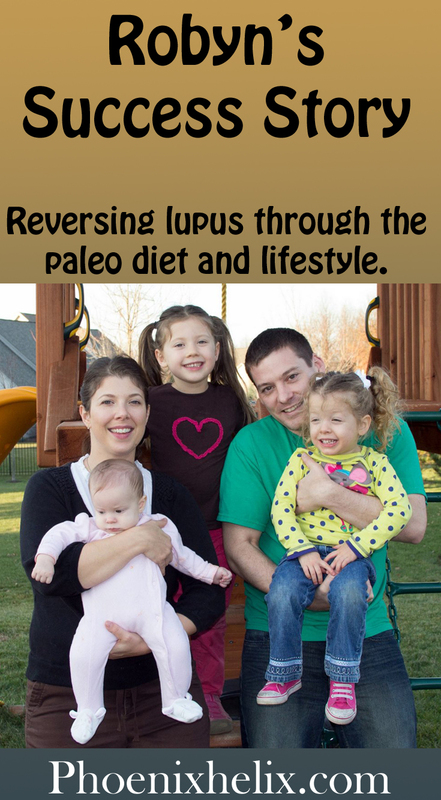 When we switched to paleo, I noticed a stark improvement in the behavior of my kids and their ability to focus. Give this way of eating 30 days. Thirty is nothing compared to the amount of time you probably have already spent in pain or sickness (autoimmune diseases often take years to properly diagnose). 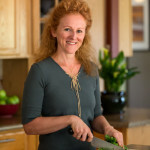 Removing gluten and the inflammatory elements from your diet may drastically improve your health and overall well-being. If this advice is different from what your doctors say, you should know that nutrition is not a required component of a physician's education. Some medical schools don't even offer it, and the ones that do usually offer only 25 hours of instruction (or less.) 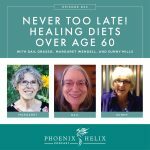 MD's are not experts in nutritional healing. I'm not saying that I'm an expert either, but this diet changed my life.